One of the best comic book artist around is Ryan Ottley. Now we get our first look at his bloody variant cover for The Walking Dead #100. Other artists who will provide variants include Todd McFarlane, Sean Phillips, Bryan Hitch and Charlie Adlard. Frank Quitely and Marc Silvestri. 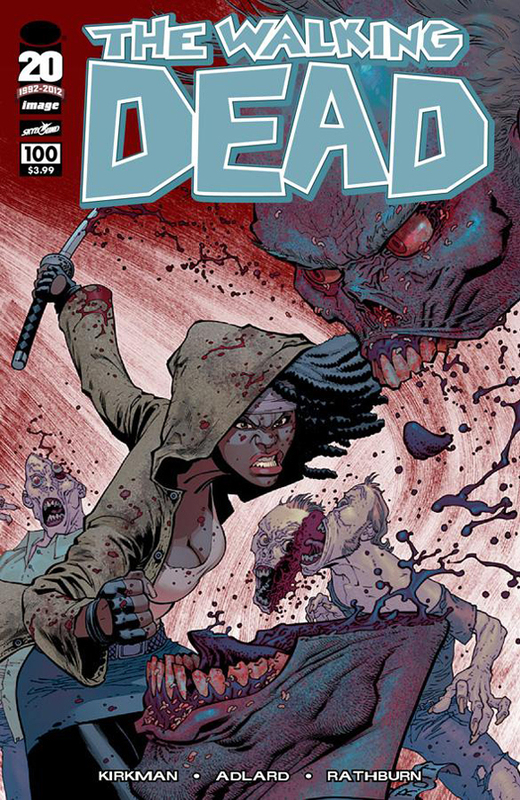 The Walking Dead #100 on sale on July 11th 2012.